Inspired by SF style and beauty blogger Gal Meets Glam‘s recent post, I decided to come up with my own list of favorite places to eat and drink in the City by the Bay! I’ve lived in San Francisco for nearly 8 years now (3 in Cow Hollow, and 4 1/2 in the Castro), and I’ve had my fair share of incredible meals all over town. While you can certainly go to many restaurants where a great meal will cost at least $50 a person, one of the best things about SF is that some of the most wonderful meals in the city can be had for less than $10. Not a bad looking city, eh? 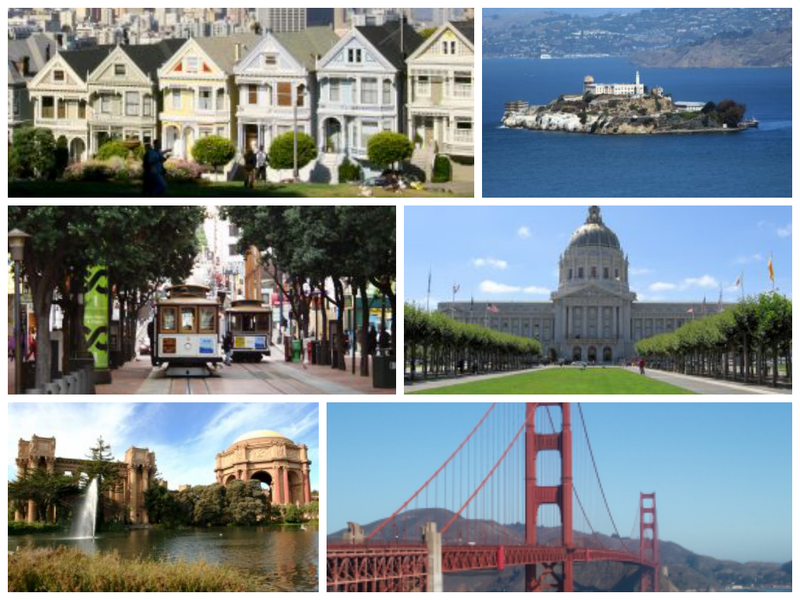 So if your travels bring you to San Francisco, below is the list of my favorite places to check out. Bon appétit! Philz Coffee – my go-to iced coffee. Foreign Cinema – 3 words: homemade pop tarts. Craftsman and Wolves – mmm… the rebel within! Swan Oyster Depot – an absolute must for seafood-lovers.
) – I’m completely obsessed with their spring rolls and peanut sauce. Yank Sing – the most wonderful Shanghai dumplings in SF. Red’s Java House – best place for burgers and chili fries before SF Giants games! Twitter – yes, as in Twitter’s headquarters. Don’t miss a chance to have a meal there if you know an employee. State Bird Provisions – hands down, my absolute favorite restaurant in San Francisco. Stones Throw – my new favorite burger in SF. L’Ardoise – the best date night restaurant. Shanghai Dumpling King – soooo many dumplings, soooo little $. Trick Dog – really amazing cocktails. Hi Tops – gay sports bar with awesome music and totally amazing food (brunch + dinner). Locanda – delicious cocktails (good Italian food, too).